Happy New Year! Chuy and I hope your new year is off to a great start. Do you set New Year’s resolutions? Even if you don’t have any for yourself, this is a great time to set some new year’s resolutions for your dog! We’ve put together a list to get you started. 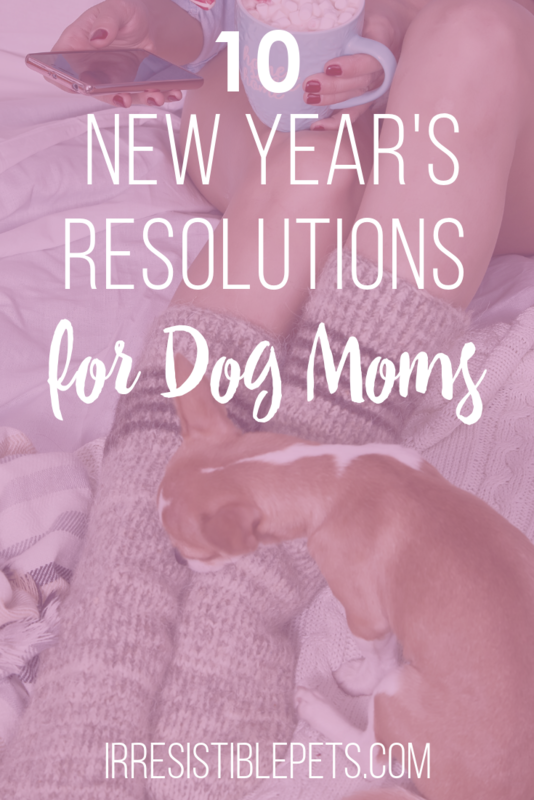 Here are ten new year’s resolutions for dog moms. Regular vet exams are critical to the health of your dog to detect problems and keep them healthy. I visit the vet every six months for Chuy’s wellness checkups. Dogs age faster than humans so it’s actually recommended to go every six months if possible. If you don’t have anything on the calendar, call your vet and schedule an appointment! Outside of your routine vet visits, there is preventative care that your dog needs. Preventative care includes flea/tick medications, heart worm medication, dental cleanings, grooming, and more. I like to set reminders on my calendar for Chuy’s heart worm medication and other important appointments. Dogs crave exercise! You should be spending at least 30 minutes a day exercising your dog. Walking is good for you too! Make activities exciting and something that both of you look forward to. Find a new park or trail to visit. Just get outdoors and exercise with your dog! Going out in the cold? Check out these winter safety tips for dogs. Have you moved? Changed phone numbers? Now is a great time to check your dog’s ID tags and microchip to make sure they have your most current information. BONUS Tip: Program your phone contacts with your dog’s regular vet, the emergency vet, and animal poison control. That way you’re not scrambling for the phone number when there’s an emergency. I love going on adventures with Chuy. I make it a point to find dog friendly places, hotels, and restaurants. Make this the year that you go on more adventures with your dog. Chuy has such short hair that he doesn’t require visits to the groomers. That said, I do all of his grooming at home. He still needs regular baths, brushes, ear cleanings, etc. In the new year, set up a regular grooming routine for your dog. Learn how to make a DIY Pet Grooming Kit. More pics? Is that even possible in my world?! I take so many pics and videos of Chuy. I love having so many memories of him. I use Google Photos to store all of my pics. Then I print some of these out to frame, make canvases, and photo books. My favorite service to create photo books is with Shutterfly. They have amazing deals and sales all the time! Plus, they now have a dedicated section just for pets. 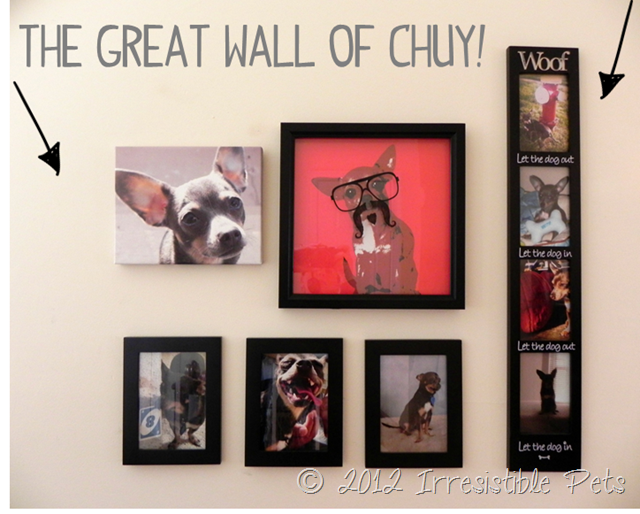 We have the “Great Wall of Chuy” on our staircase which is a collage of various Chuy photos! Check out Chuy’s First Year Photobook. Clear the clutter and get your house organized by organizing and cleaning all of your dog’s toys. While you’re at it, through in their bed, blankets, towels, etc. Go through their toys and toss anything that’s broken or worn out. Boredom leads to behavior issues and depression. Playing puzzle games is a great way to exercise your dog’s mind. 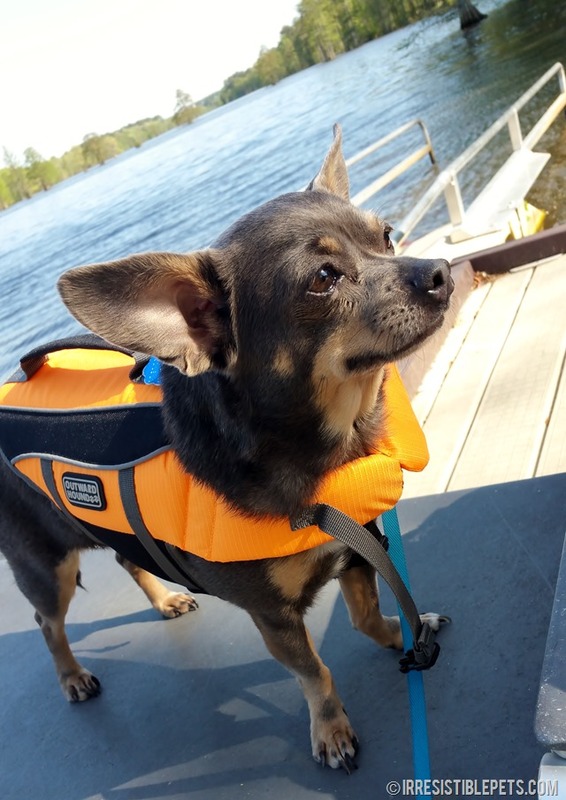 This is a great confidence boost and it’s another fun way to bond with your pup. Games are also great for rainy/cold days when the last thing you want to do is be outdoors! The best way to show your dog love is to spend more quality time together. I spend more time with Chuy than my husband or daughter! He is always next to me while I’m working, eating, and even sleeping! Some of our fav activities are walks, going to the beach, kayaking, and just snuggling on the couch with a good movie. So, what are your new year’s resolutions? Let us know in the comments!